With the recent successes of Drive for Diversity graduates Kyle Larson, Daniel Suarez and Darrell Wallace Jr., the next batch of D4D drivers are ready to make a name for themselves. Over the next few weeks, Fast Facts will take a quick look at the young careers of these talented and diverse drivers. Next up: Enrique Baca. Enrique Baca was born Aug. 13, 1991 and makes his home in Monterrey, Mexico. He began karting in 1997, earning four consecutive Northeast Mexico Kart Championships, becoming a four-time National champ in Mexico and becoming the youngest champion in the Shifter 125cc National Champion Division at age 15. In 2008, Baca moved up to Formula Renault 2000 of America, earning the Rookie of the Year award as well as two top-three points finishes in three seasons. His next move in 2011 was to Formula 3 Panamerican, also earning a top-three points finish, and in 2012 he added another Rookie of the Year award in Formula Fiat Abarth of Latin American while finishing fifth in points. In 2013, Baca made his NASCAR debut in the Toyota Series Mexico, running three races. 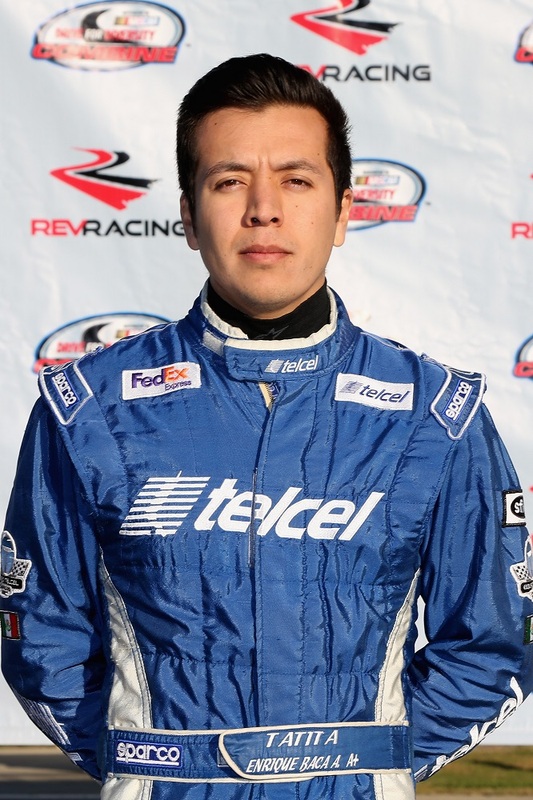 After competing in the Super V8 Copa Telcel Mexico Series in 2015 and winning Rookie of the Year, Baca will compete for Rev Racing in the NASCAR Whelen All-American Series in 2016. Det är den bästa tiden att göra planer för framtiden och det är dags att vara lycklig. Jag har läst detta inlägg och om jag skulle kunna önska att jag föreslår några intressanta saker eller råd. Kanske kan du skriva nästa artiklar som hänvisar till den här artikeln. Jag vill läsa ännu fler saker om det. Bra blogg. Tack!